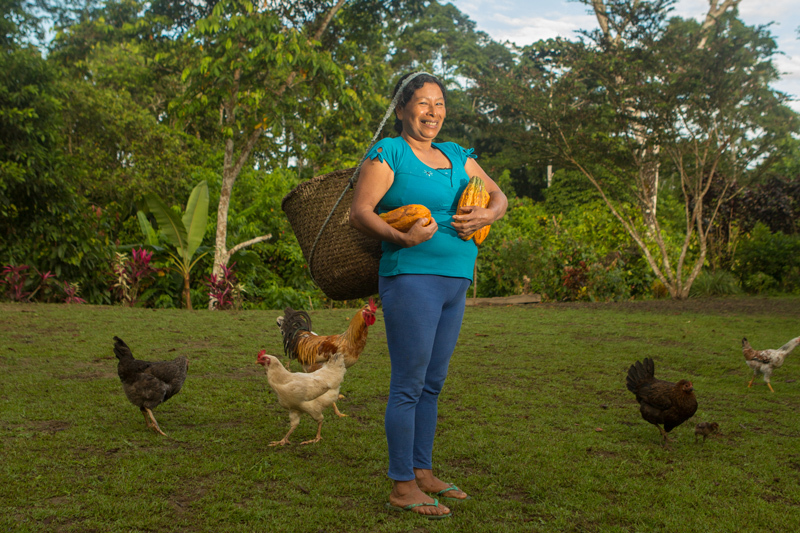 , a group of 140 Kichwa and Mestizo families dedicated to producing quality cocoa, coffee and guayusa, as well as providing a fair price for members. 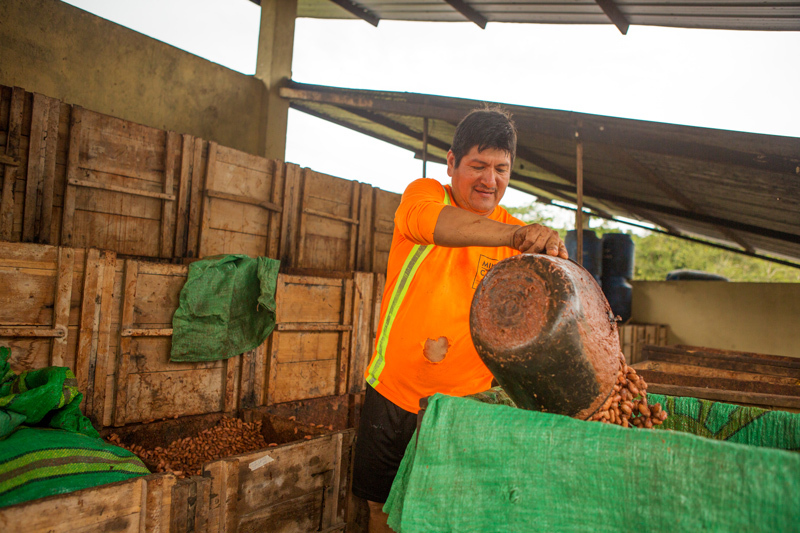 To unify harvests from thousands of small cocoa groves scattered along Napo River's flood plain, workers from chocolate-making organisation Kallari transport the moist beans to collection points. 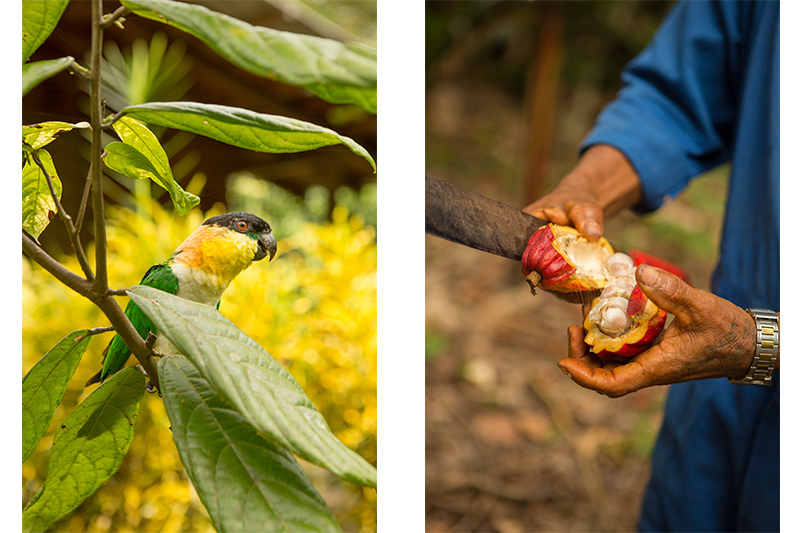 They often hike muddy trails, push dugout canoes down river or hire a motorised canoe to carry the precious cargo. 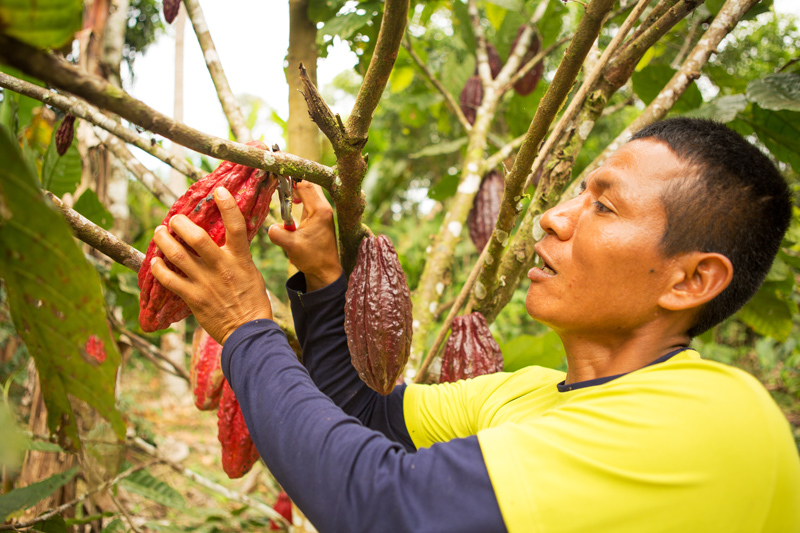 Every other week — or weekly during peak harvest — workers collect nearly 50,000lbs of cacao. 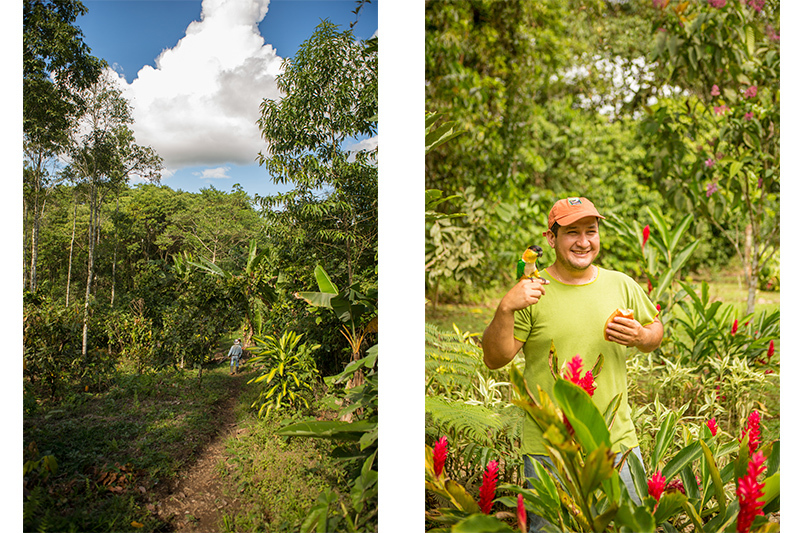 Kallari staff then buy the beans and transfer them to fermentation boxes. 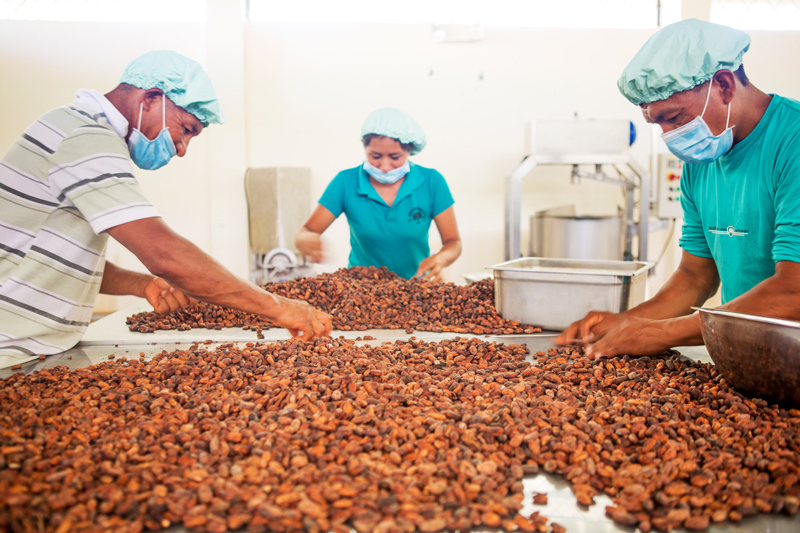 Workers sort fermented and dried cacao ahead of chocolate production at Asociación Tsatsayaku. 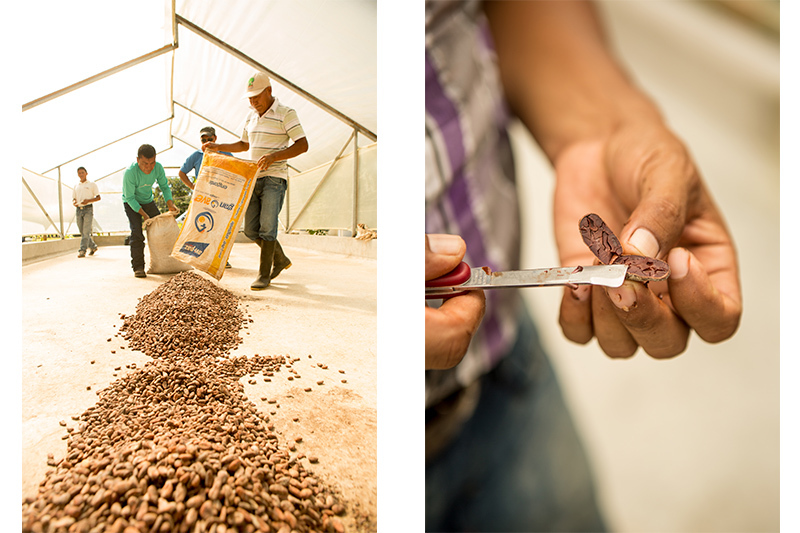 Structured as a cooperative, individual cacao growers bring their harvest to the association for processing. The produce can then be used in the creation of rich treats, like chocolate cake.